With Small Black CPU Holder. Durable polished aluminum construction! 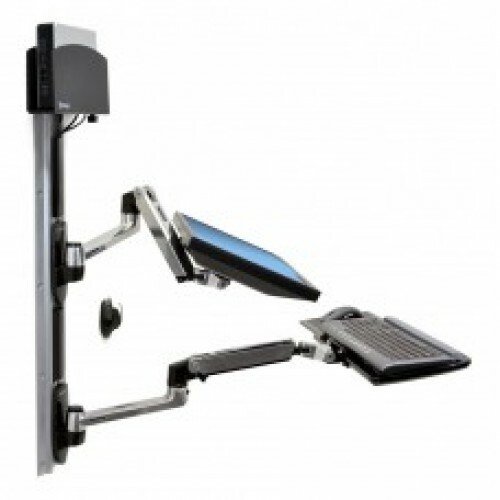 This is a complete solution that accommodates an LCD, keyboard and CPU while providing vertical and side-to-side motion. 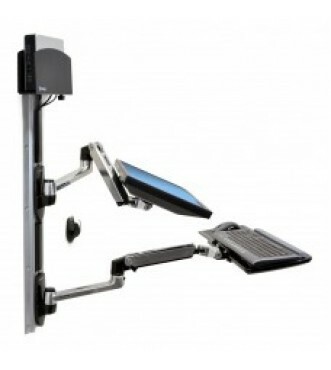 It is perfect for space-constrained areas: simply fold the keyboard and LCD tight against the wall when not in use.